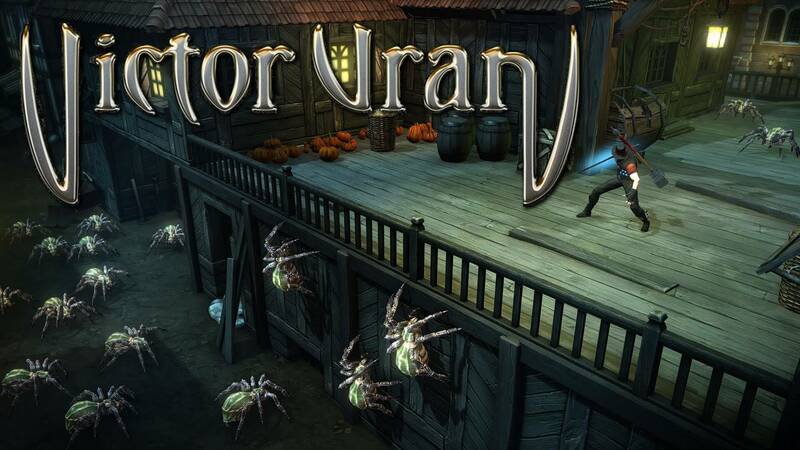 Victor Vran is an isometric Action-RPG with an emphasis on character customization. It offers a massive selection of weapons, items, outfits and destiny cards for you to choose from. Your choices of equipment will determine Victor’s skill set and demon powers, and ultimately, his success as he battles the legions of death sent his way during each of his missions. The game features the unique abilities to dodge enemy attacks and wall jump to reach hidden areas. You can also team up with your friends with online multiplayer co-op (upto four people). The game can be played using either your mouse and keyboard or an Xbox 360 controller. You can check out our early access review of the game here. The game has since been updated a great deal, adding all new game zones, bosses and monsters and weapons. The level cap has also been increased from 15 to 50(! ), weapon stats have been tweaked, the demon powers have been revised, the number of music tracks has been doubled, and many, many more modifications have been made to make the game an even more exciting experience. You can view all the details and the entire update history on their Steam store page. The most thrilling addition made to the game recently is the transmutation ability, which allows you to craft and upgrade your items – so you can imagine the possibilities. Create and conquer, demon hunter. Comment on the post: If you were a demon hunter, how would you repel an unholy invasion loosed from the depths of hell, using only two weapons – the item closest to your right hand and the item closest to your left hand. So, hurry and get your responses in, because they’ll be announcing the winners on Saturday at 12 PM (GMT). Victor Vran is currently in Early Access on Steam, but is scheduled for a full launch on July 24, 2015.